I had a post about avocados a while back and I promised to post some recipes. Here it is! 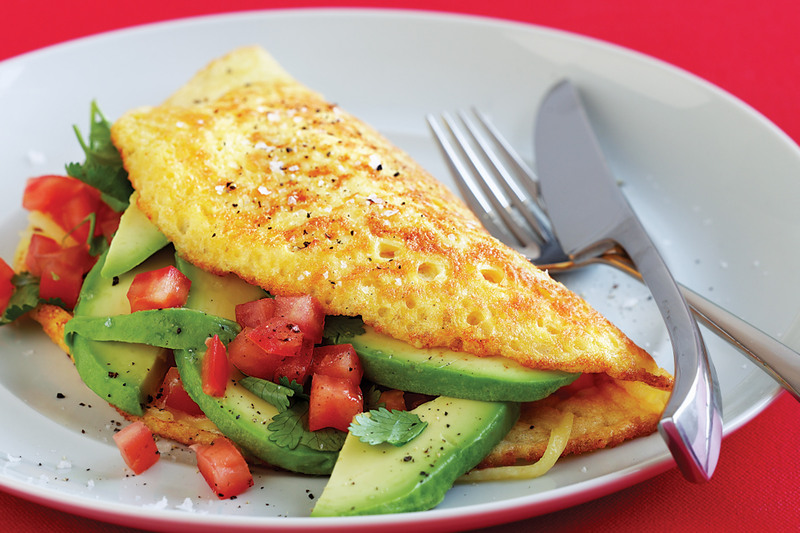 An avocado omelet may sound weird (it did to me too), but it tastes delicious! Here's a picture of one (it looks really close to the one I made, but I didn't stuff it with so many tomatoes and avocados). Beat the eggs and season with some salt and pepper. Heat the butter and cook the onions until clear (5 minutes or so). Add the eggs and cook until the bottom side is done, then flip it (do I really have to teach you how to cook eggs?). Add the tomatoes, avocado, and cheese. Fold the egg in half and heat until cheese is melted. Put it on a plate and make it look pretty. Done! I love avocado, never tried it with an omlet before. Thanks for the tip.